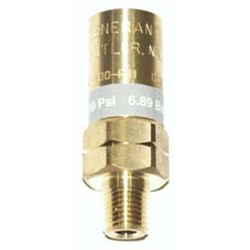 Pressure Relief Valves are spring-loaded valves designed to open and relieve excess pressure, then immediately close, preventing any loss of flow of fluid after normal conditions have been restored. 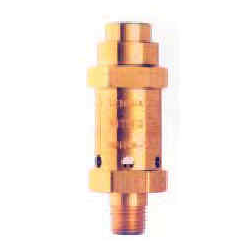 Pressure Relief Valves are designed as, and made to act as a safety measure in your pressurized gas or liquid system. 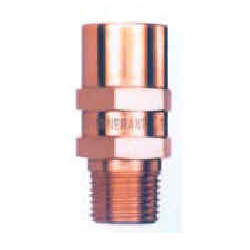 Ratermann Manufacturing believes high quality safety relief valves are the foundation of any industrial system, as the relief valves prevent injury to personnel and unnecessary damage to equipment. Our safety valve experts keep our inventory up to date with pressure relief systems matching the most recent requirements from ASME (American Society of Mechanical Engineers) and ANSI (American National Standards Institute). A wide variety of pressure relief safety valves are in our inventory, ready to ship. 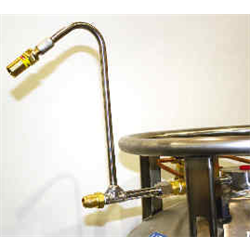 We specialize in the application of safety valves to High Pressure systems, Cryogenic Gas or Liquid, as well as valves specific to particular Dewars or systems in need of a Dual Relief Kit safety valve. You'll find our brands of choice to be Herose, Generant and Rego, all known for their high quality standards and durability making the equipment a worthwhile investment. 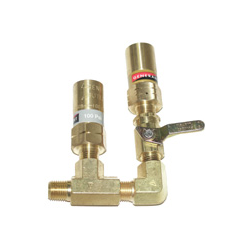 Ratermann Manufacturing is dedicated to provide you with the right size and style of pressure relief valve, related fittings, and other safety equipment, so that your system is safe and efficient. If you have any questions regarding the type, size, or style of pressure relief valve you need, do not hesitate to contact our support staff at 800-264-7793. 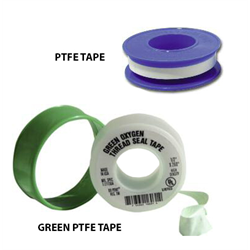 They have extensive experience in the industry, and would be happy to help you find the Pressure Relief Equipment you need for top performance. 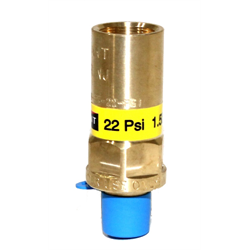 Scroll down and click on the Pressure Relief Valve category that matches your system. Ordering is quick and easy from our online store - prices available for registered users only. If you want to place an order over the phone, or would like to ask a technical question regarding a Pressure Safety Valve or related product, call us at 800-264-7793 and we'll be happy to help.